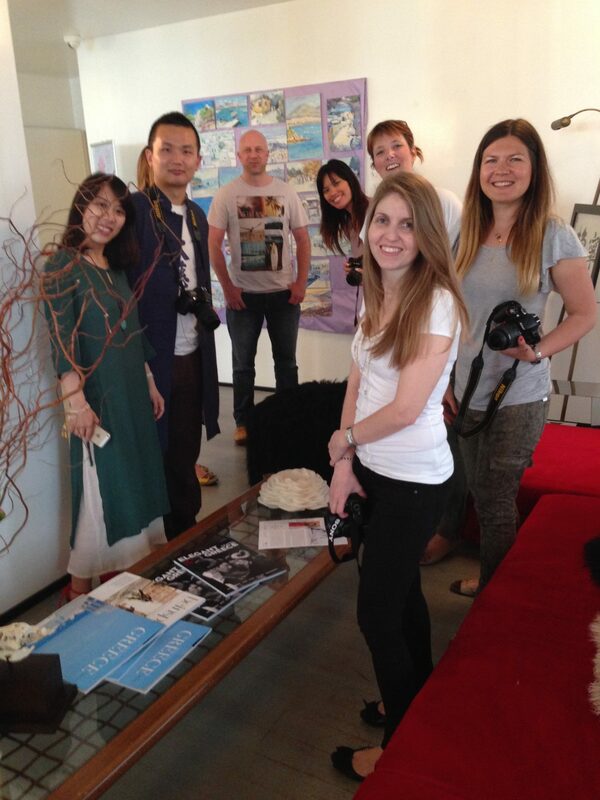 Saturday 16th May 2015 saw another coming together of the Travel Bloggers Greece to meet new members and exchange ideas. 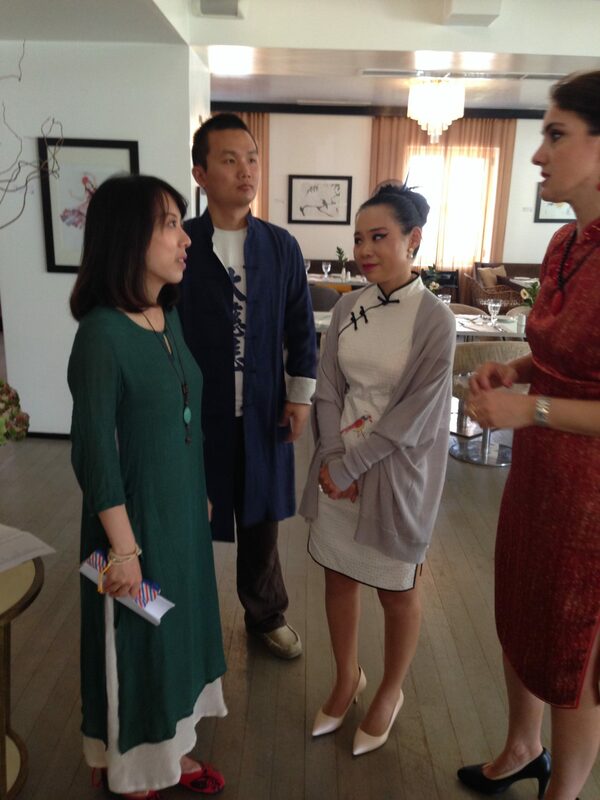 This time, we were hosted by Grecotel Pallas Athena Hotel again, and treated to the art exhibition China Meets Greece, arranged by fellow Travel Bloggers Greece members Eley Yuan and Kevin Miao of travel blog Meet Culture. Kevin and Eley work hard to build an international culture exchange between East and West through events, art and music – believing in the importance of bridging understanding. 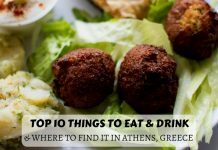 Eley stresses she sees many similarities between Greek and Chinese cultures such as the ancient philosophies, traditional music and the importance and value of relationships and family, to name but a few. More can be read about this duo here. 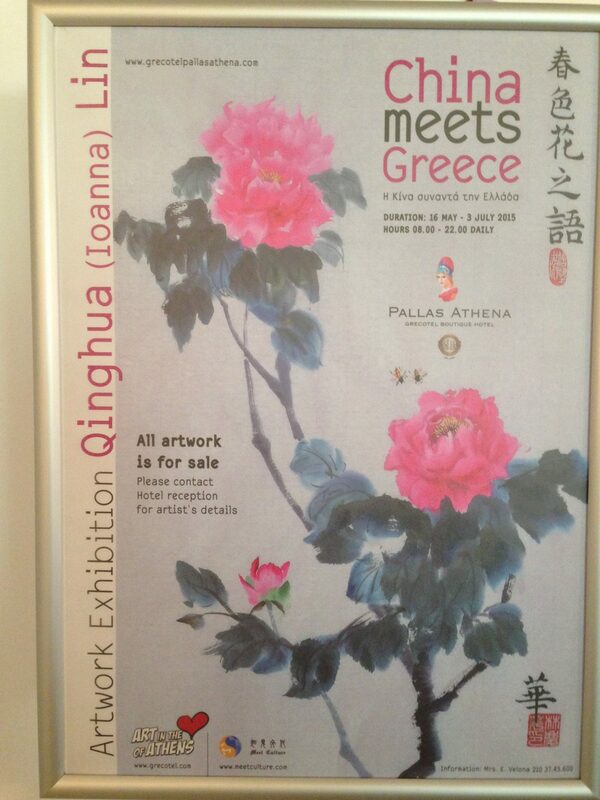 One such event organised by them was the China Meets Greece Artwork Exhibition. 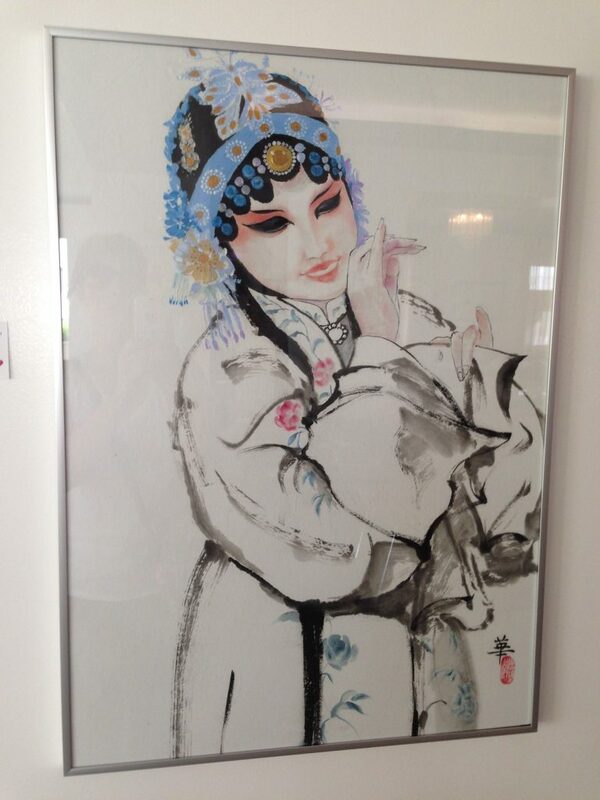 Eley, Kevin & Grecotel’s Marketing Executive met us in traditional costume, introducing us to the artist – Qinghua (Ioanna) Lin. 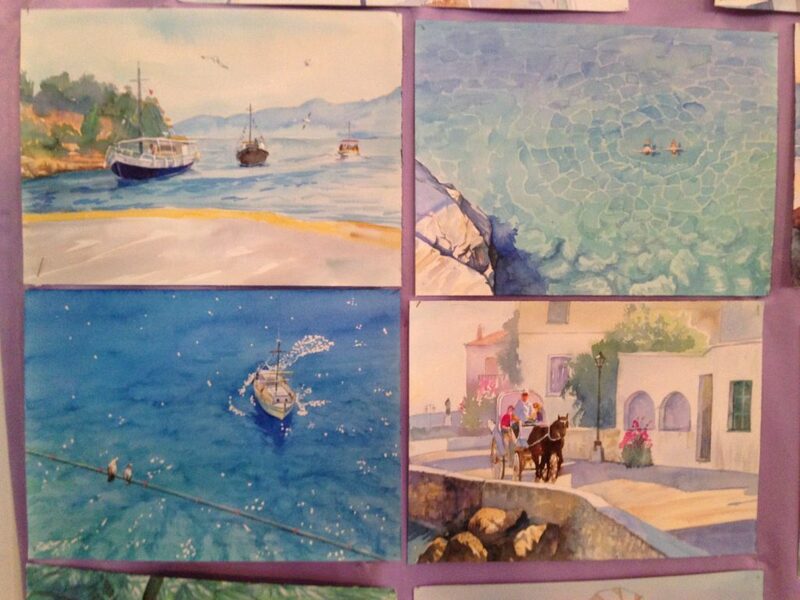 Various watercolours were on display ranging from nature scenes (also Greek paintings the artist has undertaken), animals and people. My paintings are inspired by the Greek landscape, especially the sunsets. Whilst detailed, some paintings lacked any background (‘blank painting’). Ioanna stressed she paints objects this way as it gives more significance to the object painted, with no background distractions. 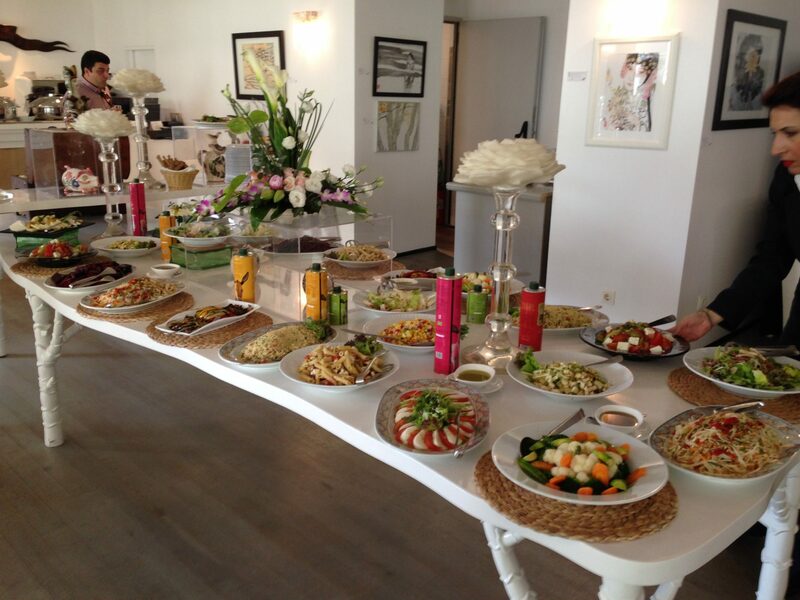 And of course, a buffet lunch of a combination of Chinese and Greek food was served. Odd? Not at all. Munching on noodles, chicken, rice, salad and a selection of cheeses with good company, what more could one want from an afternoon, and a successful blogger’s meeting? 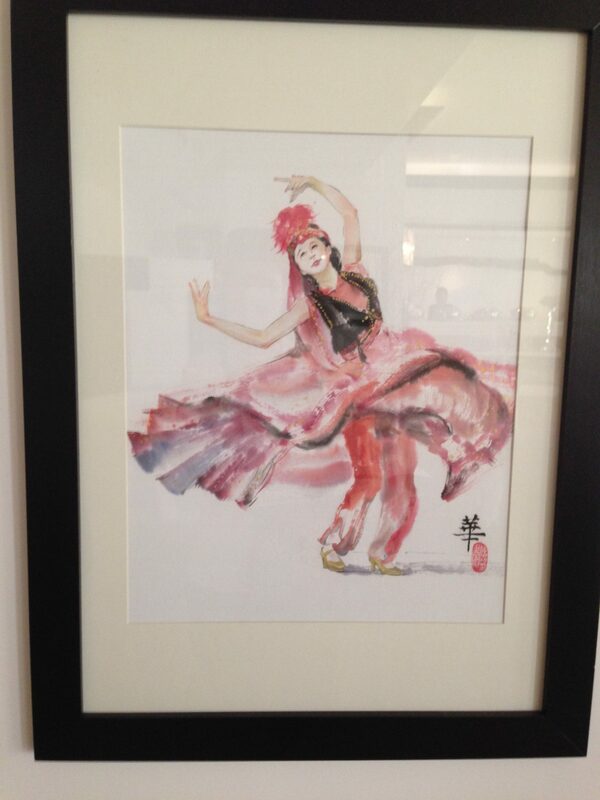 China Meets Greece Exhibition is running from 16th May to 3rd July 2015 at Grecotel Pallas Athena. Nice post, Rebecca! Was a great event indeed. Very cultural. 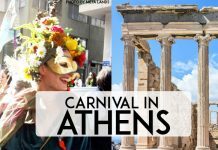 Yes – it was really nice to see such a good turnout – and to understand how Greek and Chinese culture can have similarities in their philosophy of life. Good to see Meet Culture working in this guise…hope to see more events.